When it comes to designing a home that is situated near an incredible landscape, it is always a challenge to ensure the home is beautiful in its own right without detracting from its natural surroundings. 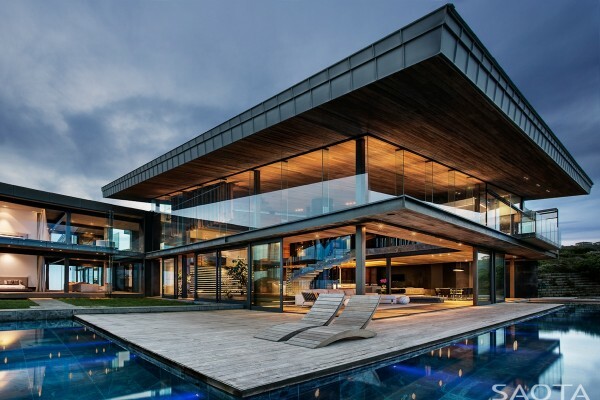 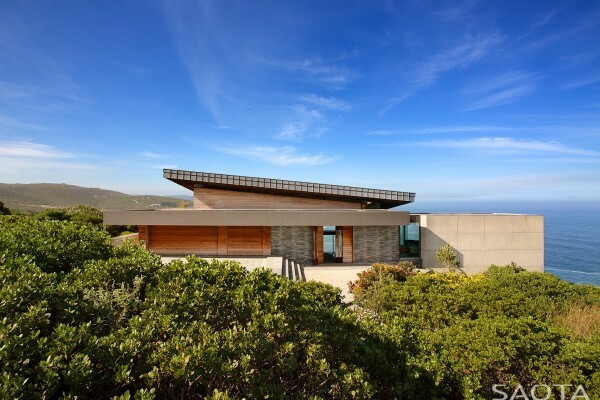 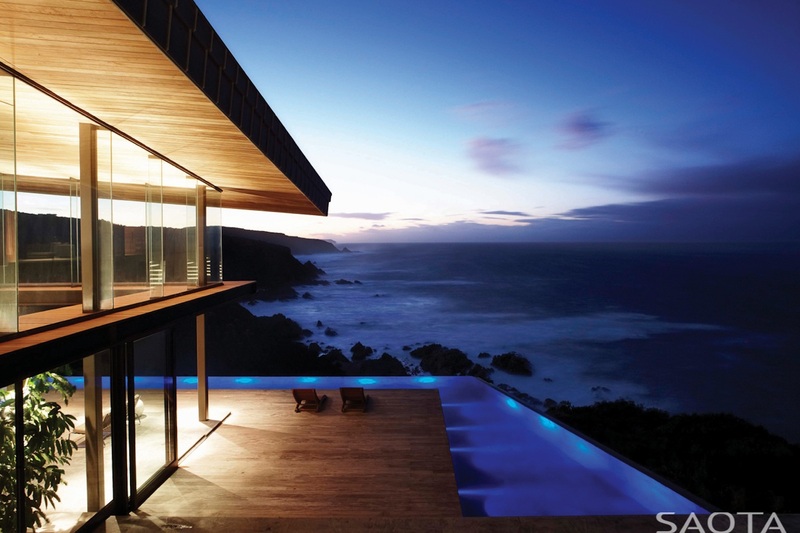 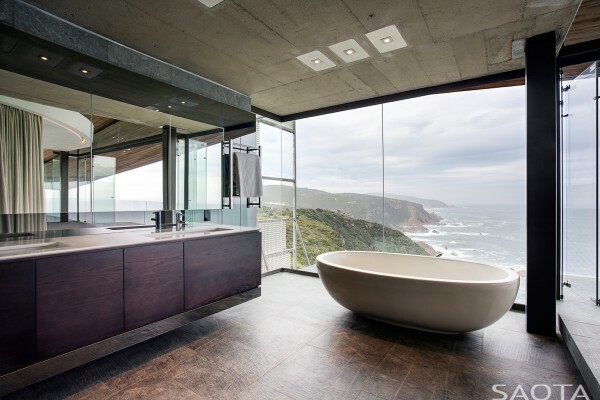 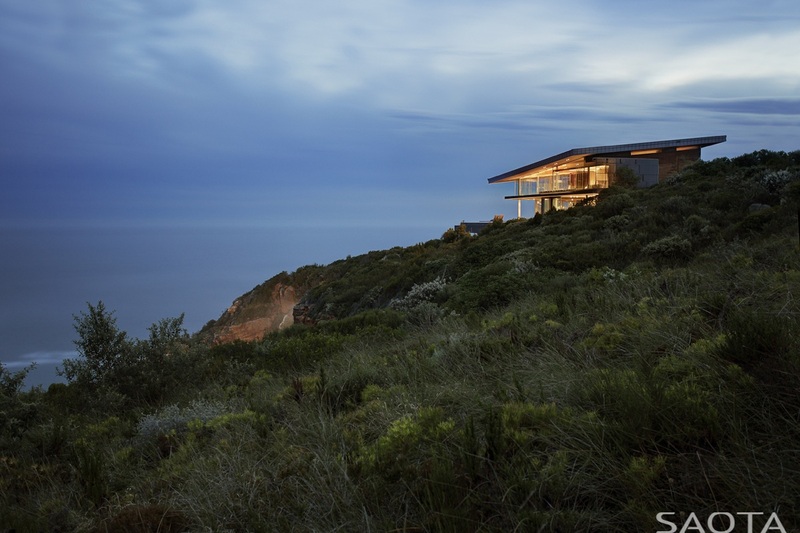 The family home, located in Pezula Private Estates outside of Knysna in South Africa not only takes on this challenge, but succeeds spectacularly. 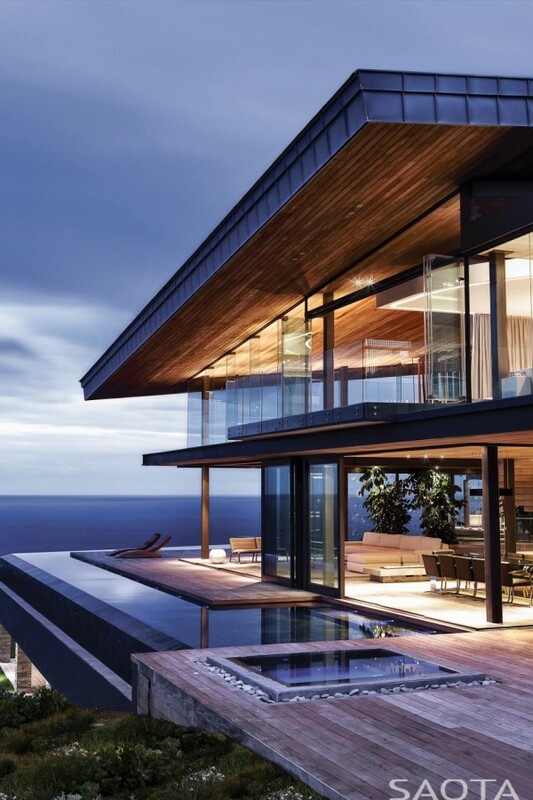 Architects from Stefan Antoni Olmesdahl Truen Architects (SAOTA), led by Greg Truen and Roxanne Kaye, worked to make sure the space integrated seamlessly with the landscape. 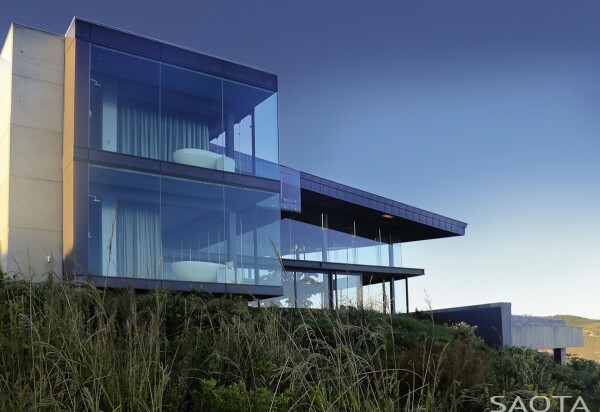 The stunning site in The Cove section of the Pezula Estates, eventually to be used as a family home but first as a holiday get away, has ocean views from both the south and east. 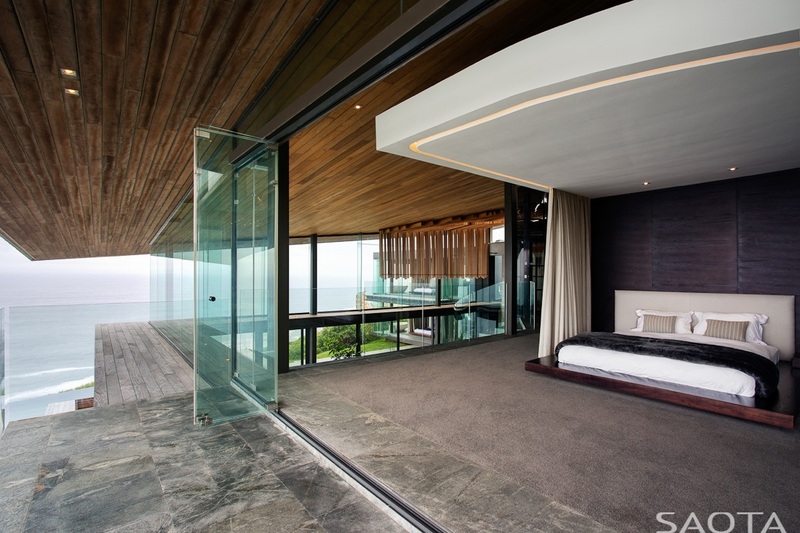 The children’s bedrooms, visible in this image, keep true to the emphasis of views and glass, but feature heavy privacy curtains, allowing them to escape into their own private chambers whenever necessary. 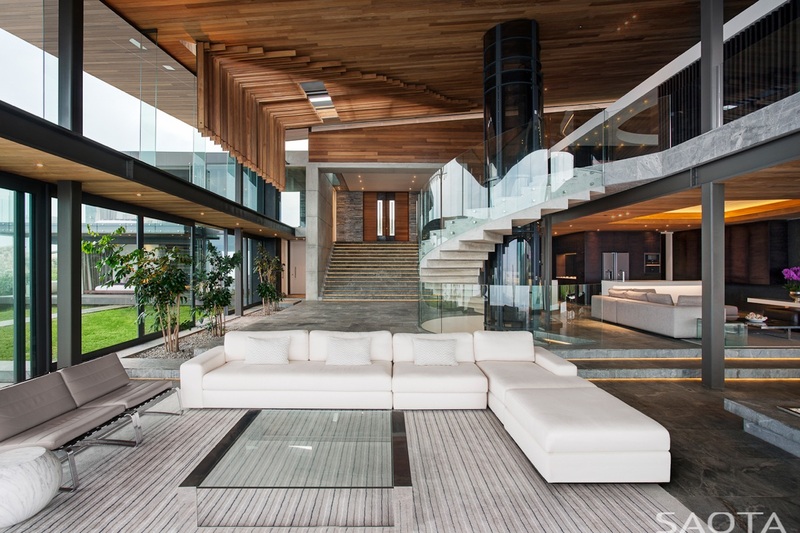 The interior design, of course, is understated but should not be overlooked. 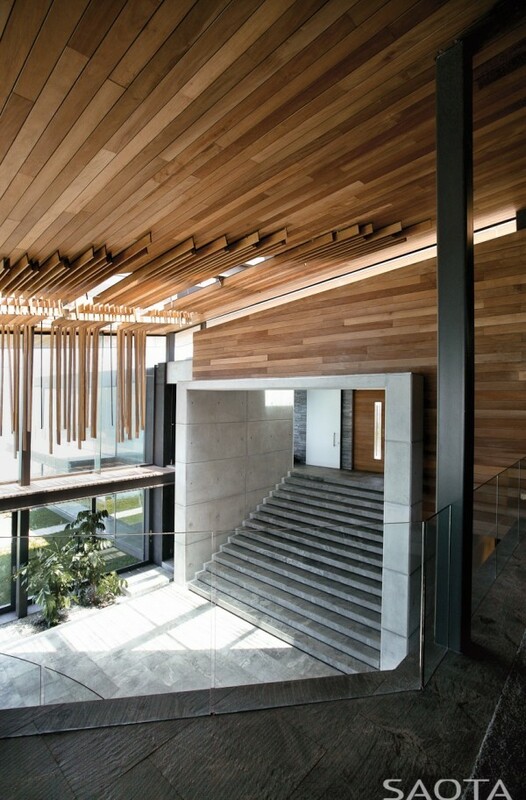 The design team of Mark Rielly and Tavia Pharaoh, out of Antonia Associates, used a starkly minimalist style. Many of the pieces are sparse, which serves to emphasize the stunning architectural spaces. 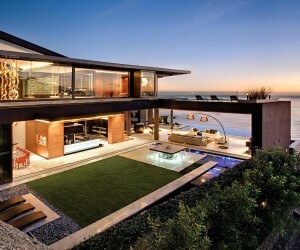 For a unique space like this, it should come as no surprise that many of the furnishings are bespoke. 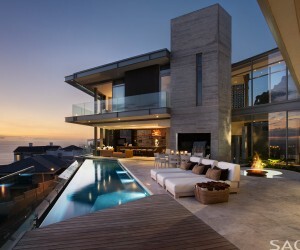 The sun was a major concern when working on this project. 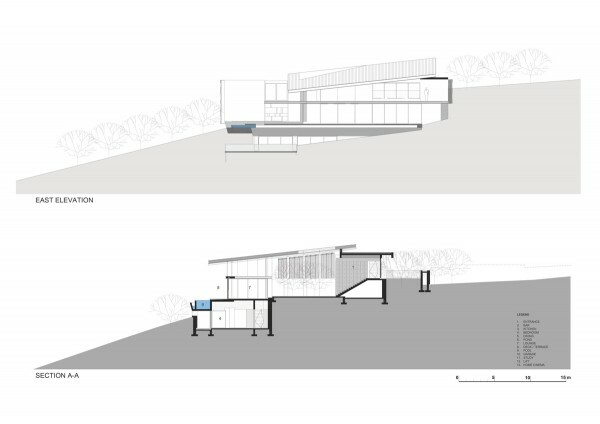 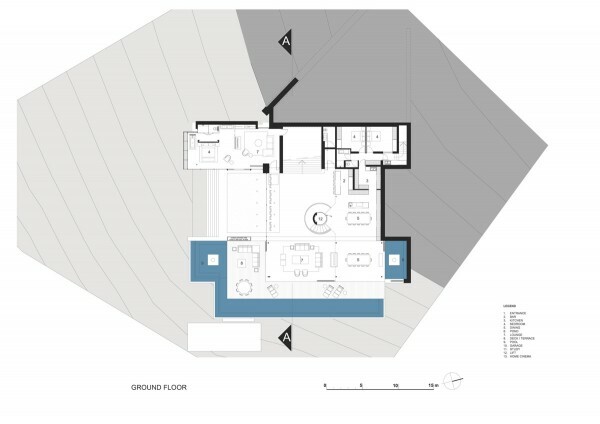 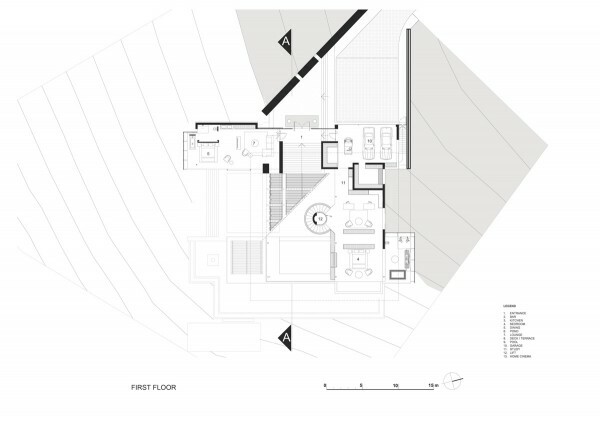 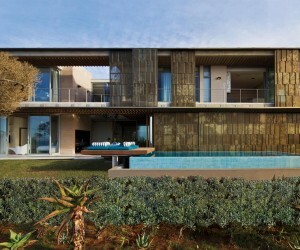 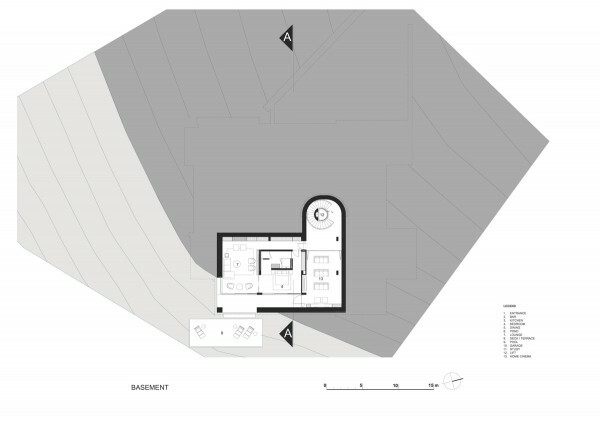 A solar assessment allowed the architects to determine how best to situate and build the house to minimize the negative effect of direct sunlight. 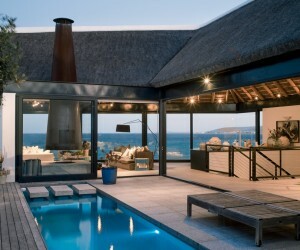 The final results include a sunscreened glass panel as well as a wooden screen across the large overhead skylight. 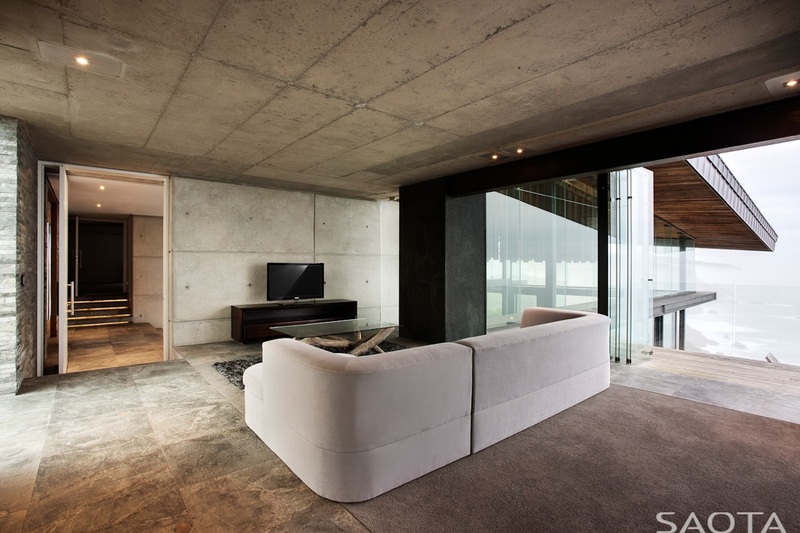 For this screen, as well as the rest of the home, materials were chosen with great care and not only for their look and durability. Materials such as off-shutter concrete, Rheinzink roofing, timber cladding, and stone were specifically chosen for the way in which they will be able to age gracefully and fade into the landscape as the house stands for many years.